Construction of St. Pius V Church was completed in 1893. In 1874, exactly 200 years after Father Jacques Marquette, the famous Jesuit missionary and explorer, wintered in the heart of what later became the Pilsen neighborhood, Jesuit priests from Holy Family founded a mission parish for Irish immigrants. St. Pius V became Chicago’s most westerly parish. Irish immigrants had begun pouring into Chicago and Pilsen even before Ireland’s infamous potato famine in the mid-19th century. They found work digging the first canal in connecting Lake Michigan and the Mississippi River. The canal, now known as the South Branch of the Chicago River, forms the southern boundary of Pilsen. The newcomers also joined the ranks of laborers at McCormick Works, the largest farm implement factory in the country located in Pilsen’s southwest corner at Western Avenue and 26th Street. The Jesuits built a frame mission church in Pilsen at 18th Place and Paulina, next to St. Veronica’s school, which was founded in 1872 by the Sisters of Charity of the Blessed Virgin Mary from Dubuque, Iowa. The church was named in honor of the Dominican Pope St. Pius V and soon the school changed its name to St. Pius V School. As the neighborhood grew the mission became one of two territorial parishes in Pilsen. Both served predominantly Irish families. 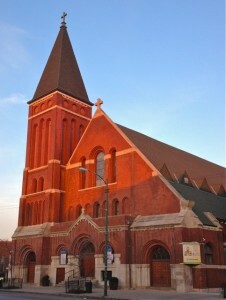 In 1884, construction of a new church began at 19th Street and Ashland (two blocks from the original site). Designed by James Egan in the Romanesque Revival style, it was completed in 1893. The church is distinguished on the exterior by its smooth masonry, compared to the rusticated facades of most churches of the time. The arched entrances and windows are echoed in the rounded arches in the sanctuary, decorated with Norman-style carving and stencils. The geometric designs on the façade are reminiscent of architect Louis Sullivan, renowned for his new “modern” designs. Starting in 1885, services were held in the new basement hall while work continued on the upper church, which was finished in 1893. That same year Chicago hosted the World’s Congress of Religions in Chicago and the First World’s Fair including the Columbian Exposition). Prelates from around the world attended the church’s dedication officiated by Archbishop Satolli, the Apostolic Delegate to the United States. In 1894, a parish primary school was constructed of brick at the corner of Cullerton Street and Ashland Avenue, the first Catholic school in Chicago to be accredited by the city’s public schools; it was staffed by the Sisters of Charity, BVM. Two years later, the school initiated a one-year commercial school for young women at the same site that operated until 1969. Beginning in the 1930s, the parish became a hub of activity as parishioners active in neighborhood politics worked for improvements in their community. In the early 1960s, St. Pius V became the lead parish in the recently founded, Saul Alinsky-style community organization, Pilsen Neighbors Community Council (PNCC), which organized neighborhood residents to improve their quality of life. Parishioners organized dances for all sorts of occasions and in warm weather, outdoor carnivals; men promoted boxing events, and parents renovated the church basement to accommodate a roller rink that operated nightly from September through May. and the interior area dedicated to the Shrine. 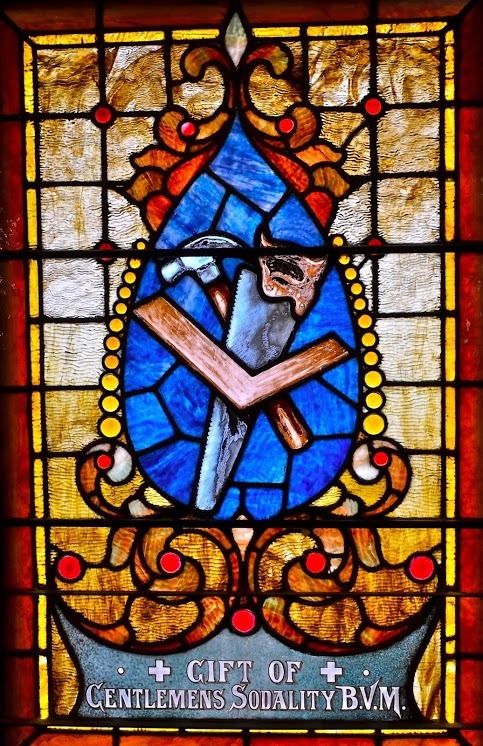 In time, the city fire department, concerned about the perilous heat rising from the growing constellation of vigil lights in the church, required a reduction in their number. to head off Hispanics coming to church, directing them to “their parish,” St. Francis of Assisi, about a mile away. At first, the Mass in Spanish was held in the church basement, a common practice in parishes first opening their doors to Hispanics, a practice deeply offensive to Hispanic Catholics. Soon after Alex Kasper, O.P.’s installation as pastor in 1968, the Dominicans assigned two Spanish Dominicans, Juan Irazabal, O.P. and Restituto Perez, O.P., and a Mexican-American Dominican, Bartolome Joerger, O.P. to work with Hispanics in the parish. Gradually St. Pius V developed an increasing openness to Hispanics. More Masses in Spanish were added, and the parish sponsored English classes for more than 200 Mexican children, developed programs for their youth, initiated social programs aimed specifically at helping newly-arrived immigrants to find housing, jobs, and community, and sponsored numerous parish groups, including Cursillos de Cristiandad and a Guadalupe Society. Detail of Juan Diego from the mural in the chapel where daily Mass is held. In 1971, a Dominican brother, Michael Sieberlick, O.P. helped form a Mexican Estudiantina, a musical group consisting of 25 young people, playing a wide range of stringed instruments. Through their music, they spread Mexican culture throughout the Chicago area. In 1972, Fr. Joerger attracted many Mexicans to the parish by installing a beautiful shrine to Our Lady of Guadalupe in the church with a mural painted by Edmund O’Brien. In the mid-1970s, St. Pius V actively participated in the successful effort sponsored by Pilsen Neighbors Community Council, now largely Hispanic, to organize residents to demand that local and state authorities build the first high school in the neighborhood and endow it with a Mexican name (Benito Juarez), architecture, and direction. Still, the integration of Hispanic immigrants into the parish remained an on-going struggle. 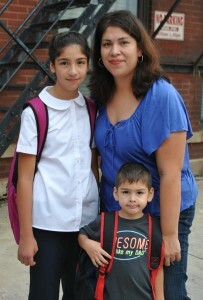 Although 80 percent of St. Pius V’s 253 grammar school students were from Spanish-speaking families in 1970, Hispanics had no representation on the parish council. I n 1974, St. Pius V received its first bilingual pastor, Father Thomas Moore, OP, who, despite considerable opposition, actively welcomed full participation of Hispanic parishioners. He was convinced that Hispanic immigrants were not only equal members of the parish but its future. 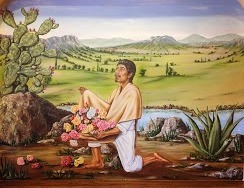 He organized the painting of an enormous mural honoring St. Jude and Our Lady of Guadalupe on a parish building and invited Archbishop Robert F. Sanchez of Santa Fe, New Mexico, to dedicate it. The next pastor, Gerard Cleator, O.P., a fine preacher who spoke good Spanish, was installed in 1980 and also focused attention on the newly arrived Hispanics and reshaped parish ministry, implementing the pastoral directives of II Vatican. 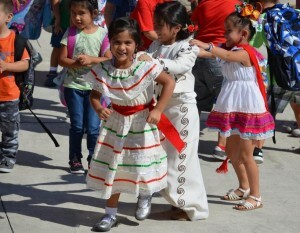 St. Pius V now was recognized as a safe haven for Hispanic immigrants. 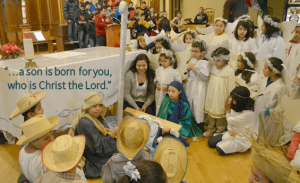 Responding to a change in neighborhood demographics (by 2000, Pilsen’s population was 90% Hispanic), most Masses and pastoral services were conducted in Spanish. In the 1880s, when the Jesuits left St. Pius V, diocesan priests administered the parish until 1925 when the Dominicans assumed responsibility. By 1920, after World War I, many of the original Irish families had moved out. The neighborhood and the parish became predominantly Polish. Father Marchant, O.P., the first Dominican pastor, together with a large staff of Dominican priests, provided a full range of services in Polish. He instituted the Annual Rosary Sunday Outdoor Procession on the first Sunday of October, a traditional Dominican devotion that drew faithful from all parts of the city. In 1933 an estimated 15,000 people took part. In 1986, Charles W. Dahm, O.P. was appointed pastor and he significantly expanded the staff and pastoral services. In 1987 St. Pius V invited the Chicago Legal Clinic to open an office to provide low-cost legal assistance to local residents, with a special focus on immigration issues. In 1989, St. Pius V, together with five other parishes in Pilsen, founded The Resurrection Project, a community organization and an economic development corporation that built 149 new affordable homes, renovated and manages 365 affordable rental units, and generated more than $200 million in economic development. Between 1992-1998 a pastoral counseling program grew from one to seven full-time counselors. The counseling program is now valued nationally as a model for domestic violence prevention. It includes a parenting program and an enrichment program for married and engaged couples. From 2006-2015, Fr. Brendan Curran, O.P. served as pastor after five years as associate pastor. 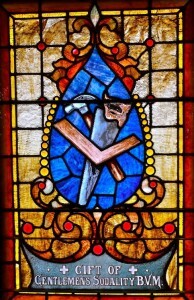 The parish’s ministry with newly-arrived immigrants continued to develop. As the Hispanic identity of St. Pius V grew stronger, the parish developed new ways of responding culturally and pastorally. 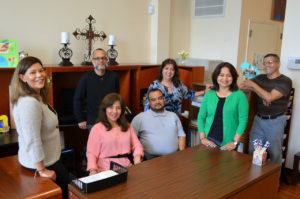 For years afterward and to date, Hispanic parishioners who move their residence from the area still consider St. Pius V their parish and frequently return for services. In August 2015, Fr. Jose M. Santiago, O.P. became pastor of St. Pius V parish. This was a homecoming for Fr. 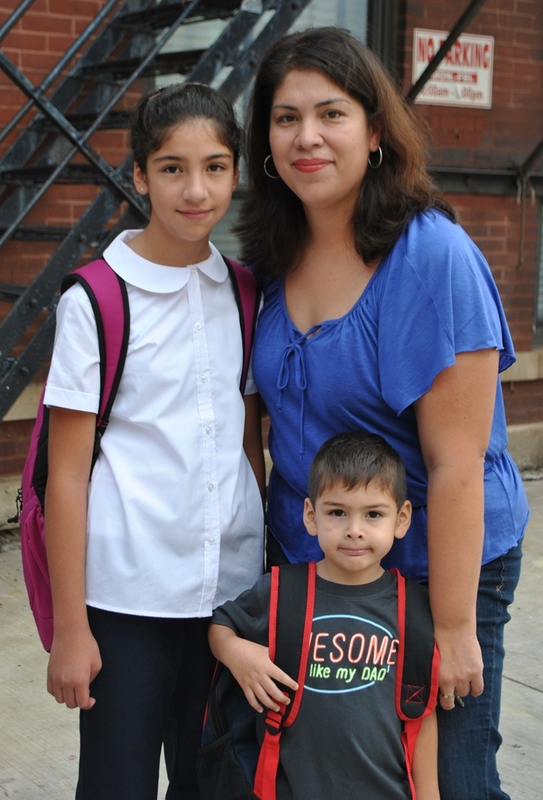 Jose, who grew up in Pilsen and whose spiritual life was formed by the youth group and the Dominicans at St. Pius V.
Daughter and son follow in their mother’s footsteps as students at St. Pius V School. St. Pius V continues to respond to the ongoing needs of the community. St. Pius V School provides an excellent academic experience in an environment of faith, peace, and non-violence. Our religious education programs serve hundreds of students, including those with developmental disabilities. The counseling services offered by HOPE at St. Pius V bring healing and hope to 600 women, children and men each year. Emergency food assistance provides 47,000 meals/meal equivalents annually; no one goes away hungry. While meeting the needs of God’s people in the neighborhood, St. Pius V also contributes to the neighborhood’s economic stability, for which we were honored with the first-ever national “Halo Award” by a national church preservation organization. Every dollar of the St. Pius V budget has a $5.00 impact on the community. We believe that is priceless.